Five state-wide soil health projects funded by the Washington State Soil Health Committee (“SHC”) in 2016 have achieved excellent results. 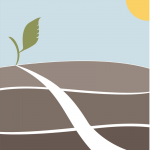 In late fall of 2015, the Washington State Soil Health Committee awarded grants to four organizations to conduct soil health field trials across the state. By September 1, 2016, reports were in for all projects, with initial evidence of positive findings. These projects explored soil health issues in diverse geographic areas, from the forests of the Nisqually River watershed to small farms in San Juan County, from a vineyard and orchard in Klickitat and Skamania counties to dryland farming in the Columbia Plateau, as well as pasture lands across the state. New strategies for improving soil health were tested, documented, and are now being published and shared with farmers, ranchers, and resource conservationists. 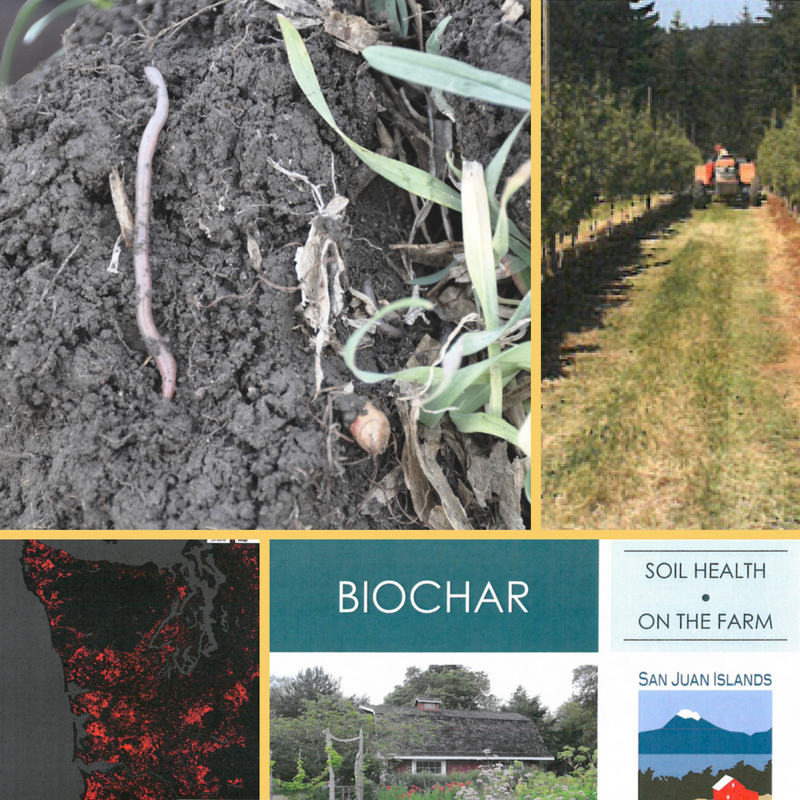 Preliminary results in San Juan County show that biochar, when added to crop soils, significantly increases total carbon content as well as enhancing soil nutrient and moisture retention. When the crops are harvested in the spring of 2017, all indications are that there will be a significant overall improvement in plant productivity. In Klickitat and Skamania counties, soil health has been significantly enhanced by adding a thin layer of compost to orchard and vineyard soils along with a cover crop to a degraded pasture. These soils have been tested using the Haney soil heath score and are measurably improved by the addition of compost. The recovery of soils in the degraded pastureland has been remarkable to date and will be monitored and tested in the spring of 2017. In the Nisqually River watershed, forest soil health has been found to benefit in many ways from longer rotations and attention to conservation of topsoil. The Nisqually Community Forest will serve as a statewide model for forest management, with increased focus on the importance of managing forest soils through best management practices. 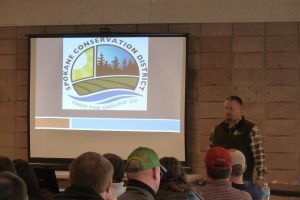 Finally, Foster Creek Conservation District developed a draft strategic plan and purchased equipment to instigate a long-term Soil Testing and Monitoring program within the Douglas County region. This new program commences in spring 2017 and will assess changes in the soil for participants in FCCD’s Direct Seed program. 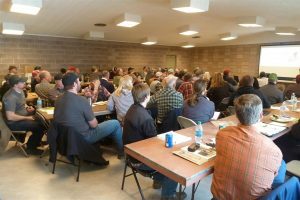 Two soil health workshops were held for local producers – one in June (in collaboration with Okanogan Conservation District), focused on cover crops and direct seed, the second in November targeting crop rotation. A copy of the Symphony of the Soil Educational DVD Collection was also purchased, and is available for loan to Douglas County producers. To achieve these excellent results, the SHC worked in partnership with soil scientists and other experts from WSU, UW School of Environmental Sciences, NRCS, Nisqually River Council, Nisqually Land Trust, Nisqually Tribe, Northwest Natural Resource Group, Microbial Matrix Systems, Inc., Domain Pouillon Vineyard, Dirt Hugger, Forage, DOE, as well as the four projects managers, the Foster Creek Conservation District, the San Juan Islands Conservation District, the Underwood Conservation District, and the Washington Environmental Council. The SHC is funded through a partnership agreement between the Washington State Conservation Commission and NRCS. At the beginning of the year, we awarded a grant to the Washington Environmental Council. The grant allowed them to study the integration of forest soil protection practices into forest management plans in the Nisqually Forest. Now, after months of hard work, the WEC is ready to report their results. They have managed to draft a Community Forest Management Plan which includes measures that will: 1) shift away from clear-cut harvests towards management through ecological thinning; 2) grow older, structurally complex forests, increasing woody debris and organic soil layers; 3) identify and avoid disturbing areas with highly erodible soils; 4) maintain road networks and culverts to the highest standard; and 5) use low impact logging techniques during thinning operations. Review the Washington Environmental Council’s full report here, and come to the WACD’s annual meeting this November to hear WA State Soil Health Committee’s full report on all of our grant projects. 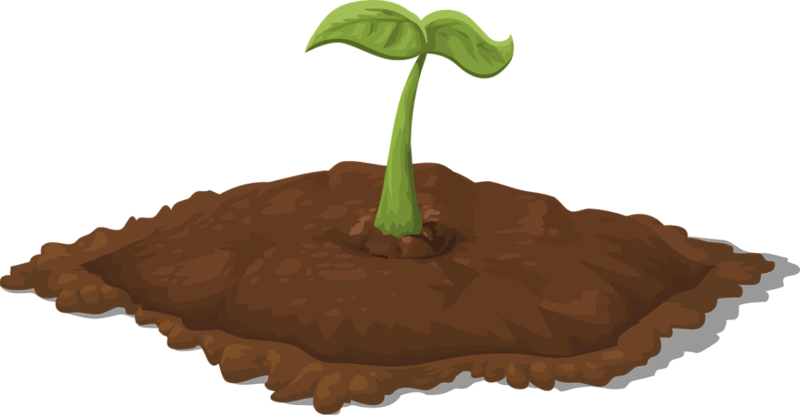 Each year, the Washington State Soil Health Committee awards a number of grants for projects in our state seeking the sustainable advancement of soil health. Many of these grants are awarded to Conservation Districts around Washington State. 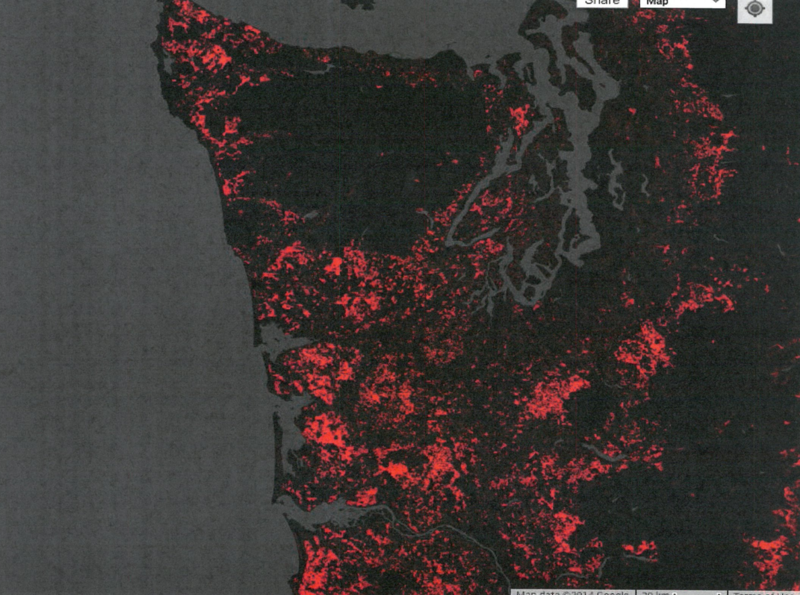 Truly, Washington’s Conservation Districts make invaluable partners in the soil health revolution. The WA Soil Committee is proud to attend the WA Association of Conservation Districts Annual Meeting this November to meet with the people doing amazing things in conservation districts around the state. We will also be presenting on this year’s five grant projects. The Annual Meeting will be held November 28-30 at Semiahmoo Resort in Blaine, WA. For more information and to register for the conference, visit the WACD website. At the end of July, more than 130 soil health experts convened in Louisville, Kentucky to brainstorm about the future of soil health research. Of the many scientists, university specialists, farmers, experts, and NGO leaders in attendance, the WA State Soil Health Committee was the only state soil committee invited to attend! 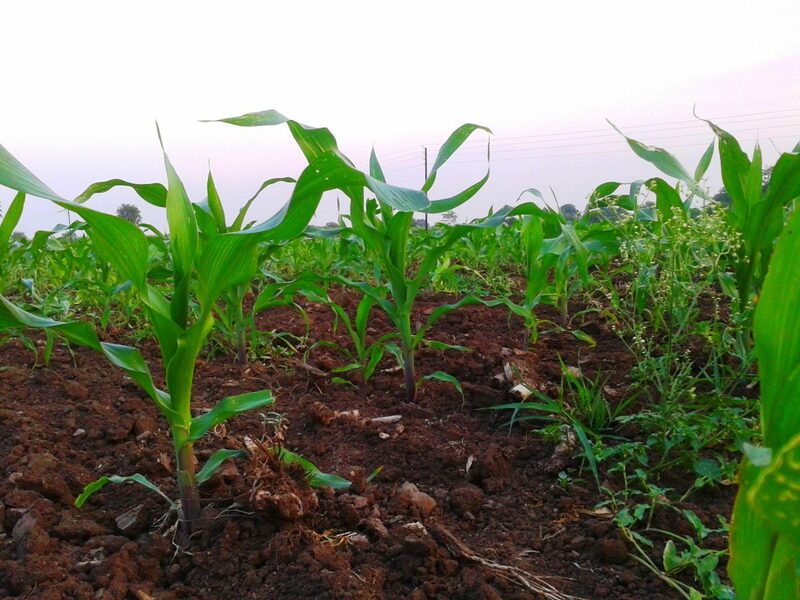 Ultimately, the conference aimed to identify key areas of research and standards of measurement that could then form convincing, relevant, scientifically grounded recommendations for policy makers and agricultural producers. 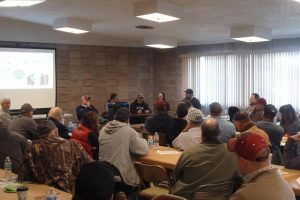 For more information about the Soil Health Institute and their first annual meeting, check out their press release about the event, here. 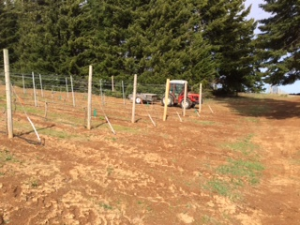 One of the WA State Soil Committee’s yearly grants this year went to the Underwood Conservation District for the purpose of quantifying the benefits of adding compost to vineyards and orchards, as well as determining the benefits of biological tillage on overgrazed and degraded pastureland. Now, we have a promising video update from Underwood! Take a look at their progress.